Summary: Are you a fan of Nicki Minaj? Then we want to invite you to check our top 10 latest Nicki Minaj songs. We’re also going to talk a bit about how you can download these songs for free so stick around until the end of this article. Nicki Minaj has been very busy this year so far. How busy? Well, the artist has released or been featured on at least a couple of new songs every month since April. That level of energy and commitment is rare in the music industry these days so it’s easy to see why she’s one of the most popular and famous rappers right now. Thanks to her fame, it’s pretty much guaranteed that all of Nicki Minaj’s latest songs will become hits pretty much instantly. If you haven’t listened to her music in a while and want to catch up we invite you to check our top 10 latest Nicki Minaj songs down below. We’re also going to talk a bit about how you can download these songs for free so stick around until the end of this article. Nicki Minaj’s latest song came out just a few days ago in late September features none other than Lil Wayne. The chemistry of the two artists is legendary at this point and we knew this was going to be a great song before we even heard it. Turns out, we were totally right. Chun-Li is one of the most popular latest songs of Nicki Minaj from her “Queen” album. The track was very well received by fans and critics alike and even won a Best Hip-Hop Video aware at this year’s MTV Video Music Awards. It’s rare to see so many talented people working together on a single track. One on hand, you have Nicki Minaj and Willy William joining forces with Jason Derulo for his latest project. On the other hand, this song was produced by world-renowned French DJ David Guetta. Needless to say, the result is downright spectacular. One of Nicki Minaj’s latest songs from her recently released “Queen” album is a direct message to all the people who gave her a hard time over the years, including certain fans. Ultimately, though, Nicki Minaj used all the hate to her advantage and now she is stronger than ever. Nicki Minaj’s latest song post her “Queen” album was a single with none other than rapper Nas. The two were together at one point but there’s clearly no bad blood between them judging by the lyrics of this song. This is one of those songs you’ve probably heard in a club somewhere but couldn’t quite guess who was singing it. Well, now you do. Nicki Minaj’s voice is immediately recognizable but the male voice is a bit harder to pin down. We did our research, however, and can tell you that the male voice belongs to The Weeknd. Few of Nicki Minaj’s latest songs are as brutal as this one. On Hard White, the artist goes on a rampage and calls out fellow female rappers craving for her position in the industry. The Queen doesn’t mention anybody in particular but many believe Hard White is actually a jab at Cardi B. Hard White isn’t the only diss track among Nicki Minaj’s latest songs. If the previous track was mainly aimed at female rappers, Barbie Dreams is primarily intended for the men. Some of the artists who managed to get on her bad side include Drake, Future, DJ Khaled, and The Game. Majesty is not only one of Nicki Minaj’s latest songs but also one of her greatest achievements in 2018. The Queen managed to strike a collaboration with both Labyrinth and the one and only Eminem. The resulting song is just as explosive as one might expect. No list of Nicki Minaj’s latest songs would be complete with at least one remix. There were plenty to choose from this year but in the end we just had to go with Nicki and Quavo’s remix of Ella Mai’s Boo’d Up. 1. Download and install DVDFab 10 and then go to the Utilities section to find YouTube to MP3. 2. Go to YouTube and search for your favorite latest Nicki Minaj song and copy its URL. 3. Come back to the software and hit the Paste URL button to begin the downloading and conversion process. 4. Once the download is complete all you have to do is go to the destination folder and enjoy the song. The tracks we talked about today actually only represent a small portion of Nicki Minaj’s latest songs. The artist likes to churn out new music constantly so this is a great time for fans of her work. If you’re one of her fans and want to listen to her music without any interruptions make sure to download your favorite Nicki Minaj songs using the YouTube MP3 converter from DVDFab. Do you love old rap songs? Here are the top 15 best old rap songs that can let you take a stroll down memory lane. Check them and find the tool to download them from YouTube. Do you want to convert MP4 to MKV? 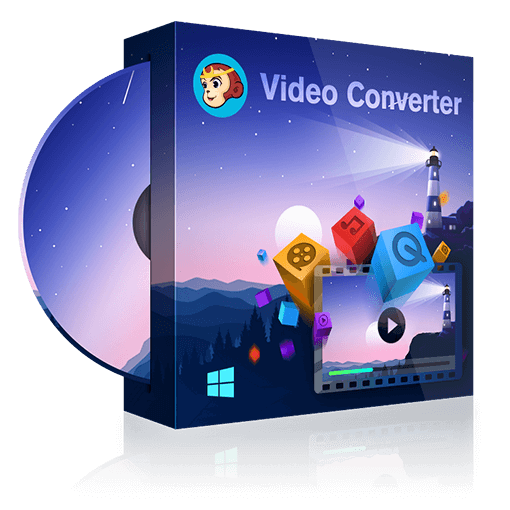 Here we are going to talk several different methods to convert MP4 videos to MKV easily and quickly. Go to check them. YouTube not responding? Don’t worry. Here we will give some solutions to YouTube not responding problem. Now follow us to fix the annoying error.